Hazardous Waste Experts can assist you in the identification, segregation, storage, transportation and disposal of hazardous chemical waste. Call today for a fast quote with no obligation. Lab pack solutions & Laboratory waste management– inventory, segregation, packaging and shipment of a variety of chemicals. Chemical waste recycling – reclaim, reuse or beneficial reuse of used solvents and other chemicals. Chemical waste disposal – disposal under RCRA guidelines for each waste stream. Follow these procedures for selecting containers and safely storing hazardous chemical waste at your facility. If you have any questions, or need assistance, call Hazardous Waste Experts at 888-681-8923. What is a lab pack and do I need one? Packing a lab pack into larger hazardous waste approved drums. Disposal of acid or bases: Do not store in metal. Use an approved acid waste container for your acid type. 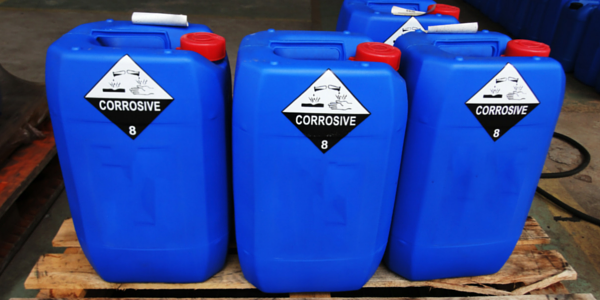 Contact Hazardous Waste Experts, (888) 681-8923, if you’re using toxic metal compounds and need toxic waste solutions. Examples of metals include arsenic, barium, cadmium, chromium, lead, mercury, selenium, silver, copper, nickel, and zinc. You may think that the disposal of acid and bases is as simple as pouring it down the drain. In some scenarios, this may be acceptable but, more often than not, it’s important that you do not do that. Acids that have a pH level stronger than 2.0 and bases stronger than 12.0 pH are not to be poured directly down the drain, even if plenty of water is used in the process. Instead, they should be sufficiently diluted and/or neutralized until they reach the desired pH level at which they’re no longer too strong to be poured down the drain. When they do reach that level, you should still ensure plenty of water is used when doing so. If neutralized your acids and bases is unadvisable or they are simply too strong, they can be collected in containers and can be disposed of as hazardous waste. In this scenario, you would need to call Hazardous Waste Experts to come pick these containers up, as the disposal of acid in this example would require professionals. Hazardous Waste Experts is the choice for fast, compliant, low-cost and sustainable solutions to your hazardous chemical waste disposal challenges. We are also experts in pesticide disposal, the disposal of hazardous materials (Hazmat), and toxic waste solutions. We provide services across the entire United States. Our team of experts and specialists, coupled with a broad array of partners, make us the number one choice for on-call hazardous chemical waste disposal services. We handle all waste types from industrial, commercial, institutional and healthcare facilities. In addition to hazardous chemical waste disposal, such as the disposal of acid, we offer solutions for pesticide disposal, toxic waste removal, lab pack services, and comprehensive environmental sustainability consulting services to address unique challenges.